Our partial denture investment Wirofit has been renamed Wirovest® plus. Simply a new name, a new look and a new order number. 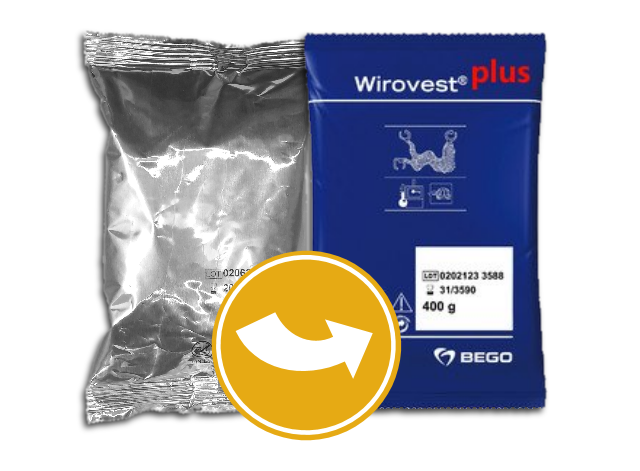 For now on, please use #54821 to order your 18 kg (45 x 400 gr) of Wirovest® plus. Do not hesitate to contact your BEGO representative for more info.